We know that all of us are using different software on a daily basis whether its work, study or to have just fun. Software Development is a complicated process and costly too. So make sure you use the approach that helps in managing the software by providing the best offshore development team. If we talk about a few years back, then software outsourcing was seen reducing the operational cost with minimizing the burden of internal staff. Acquire a strategic business partner then comes with excellent control in your long-term run. When any business software company works with its partners, who are a development group of overseas usually join hands with offshore suppliers. When any business opts for nearshore development approach, they’ll be able to include shared time zone with getting a faster return of investment. 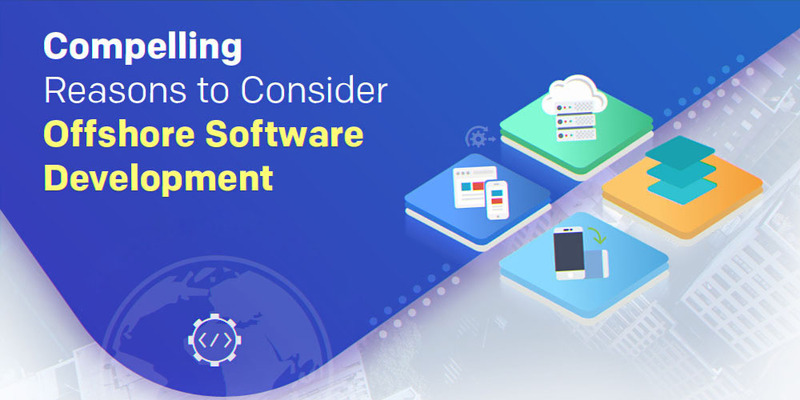 On-time implementation: Offshore software development begins with highly dedicated and deploys products that help in increases the preference among the seekers. Skillset: For all software development and IT services make sure you prefer to choose companies that come with a skilled pool of resources. High-tech security: Get the complete security of the data and other confidential property of your clients with making safe and secured transactions. Infrastructure and Environment: One of the benefits of hiring an offshore development company is there no need to create or manage a development team. There are project startups which do not require considering the infrastructure and nor any setup. Extended Support and Maintenance: Improve your quality with saving lots of time and supporting your outsourcing company with more experienced and quality resources. How offshoring Software Development makes sense? Control Capital Costs: Make sure you achieve the cost efficiency while upgrading your system with acquiring the new software applications with investing in hiring the unique talents. On the other hand, if you’re outsourcing any project and you need to have a talent pool of resources that delivers high quality outsource software applications for your business. Reduce Labor Costs: As we know that the training staff is costly to start your project immediately with training a bunch of resources. Make an attempt to the same project by setting priorities and using an offshore model. Manage the customer to focus on human resources that make most out of the offshore resources. Focus on your core business: All business comes with limited resources where outsourcing helps your business to focus from your priorities with hiring the top resources from the internal company. The offshore development team would allow you to focus on quality and excellent customer relations. Reduce Risk: All business comes with a certain amount of risks where the technologies change very quickly. The outsourcing providers would help in managing the risk of providing a better way of deciding the areas of expertise. What if offshoring is your only choice?